Have you seen this new article / post by Lindsey VanderMaas-Sack entitled 8 things Casinos do better? You can find the post in the Digital Signage Industry Connection Group on LinkedIn and the the SPI website. It has some really great information in it. ““You can learn from the past experiences of others,” has been a phrase told to me time and time again. Granted, I have not always taken heed to this great pearl of wisdom, much like many companies in various industries who have chosen to not recognize that there are experiences that can be taught and used in their own companies. 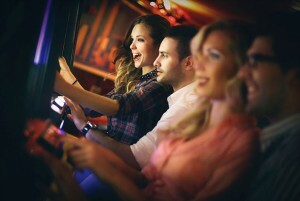 Casinos are a great example for other industries to learn from and use some of the casino best practices in their own company, especially for those in entertainment, hospitality and retail. Below are just a few tactics that casinos are able to employ at a high level of expertise. It feels like a casino: Atmosphere and sensory tactics. Casinos are masters at getting patrons in the playing mood. They have repeatedly studied and found the optimal lighting, colors, and smells to get people to stay alert longer. This way the patrons forget what time it is and focus on staying longer to enjoy themselves. To see more – please connect to SPI’s blog post page. ← Digital Signage-LCD or LED? It Depends!